Stunning home in highly sought after Cimarron Hills. Chef’s kitchen located in the center of the home w/ top of the line appliances including: Sub-Zero Refrigerator, Wolf 4-burner Gas Range, trash compactor, granite countertops, walk-in pantry, & double ovens. Interior features include Niels Home Audio system, travertine flooring, cedar beams, media, billiard, wine room, & study. 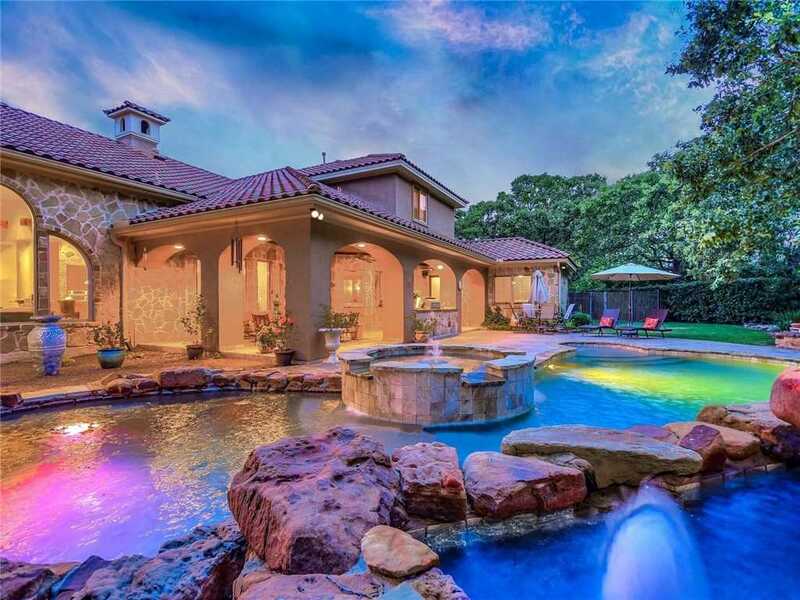 Private backyard backs to greenbelt & is a private oasis w/ pool, spa & fountain. Please, send me more information on this property: MLS# 3333080 – $1,275,000 – 103 Ringtail Cv, Georgetown, TX 78628. I would like to schedule a private showing for this property: MLS# 3333080 – $1,275,000 – 103 Ringtail Cv, Georgetown, TX 78628.